Over the next couple of weeks I will be writing out more in-depth guides for these methods, so you can try them at home too! r it’s popularity is probably related to what a simple way of making coffee it is. You boil some water, and grind some coffee. Fill the French press with coffee grounds, and top of with water. Press the coffee down and there you go, delicious, rich black coffee! Do not get me wrong, there is more to making a perfect black coffee in a French press, but with very little knowledge you can brew with a French press. 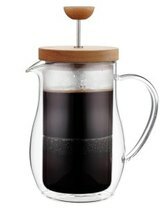 In the future I will do a review on the different French Presses I have tried to help you decide which French press to purchase. produces something a little stronger. You pop it on top of your stove, with the bottom full of water and the basket full of ground coffee. 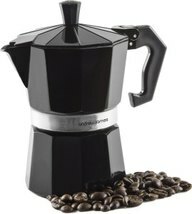 You will usually grind the coffee a little finer in a Moka pot than when using a cafetiere. The water boils and steam pressure pushes the water up and through the coffee grounds. I find using the Moka pot you end up with a lot more coffee grounds in your cup, and I generally do not go for it myself. But I know plenty who live by these! In the future I will do a review on the different Moka pots me and friends have tried (as I have not tried too many of them) to help you decide which Moka pot to purchase. The Espresso is a staple to many people’s lifestyle, mine included. I do not know exactly why this is my preferred method, possibly because I grew up around people who swore by it. In the Hormozi household, there is always an espresso machine HOT and ready to go, with a small coffee grinder beside it. 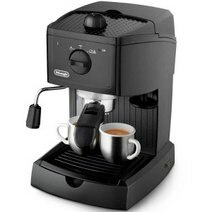 The espresso machine basically boils water, and forces it through the coffee grounds at high pressure and temperature. It allows for a faster, and thicker brew. Espresso generally will have a layer of crema on top. In the future I will do a review on the different household and commercial espresso machines I have tried to help you decide which machine is the best for you. If you want to purchase a Chemex, you can click here. ss, there is no pressing or slow pouring like with the Chemex. Very easy to use and will produce a great cup of coffee. 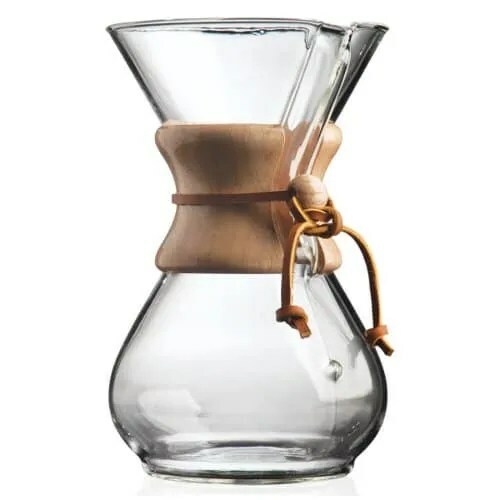 If you want to purchase a Clever Coffee Dripper, you can click here. If you are looking for something you can take with you camping or out and about look to the AeroPress. It is lightweight and portable, meaning you can brew high quality coffee WHERE EVER YOU ARE! Other than that, it does it quickly, AeroPress claims to brew a delicious coffee in just 30 seconds. That is about as fast as pulling a shot of espresso. And finally, there is the micro filtration. 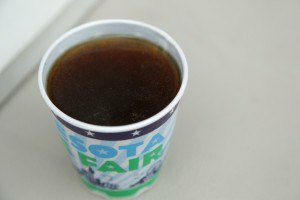 This helps to avoid the bottom of your cup being full of unpleasant left-over coffee grounds. If you want to purchase an AeroPress, you can click here. The Hario Siphon is a crazy piece of tech. This truly looks like it belongs in the laboratory of a mad scientist. 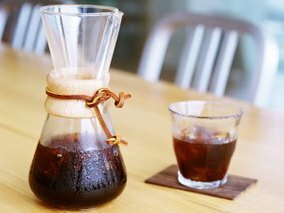 The method is referred to as siphon brewing or vaccum extraction. The cool thing about this method is that it feels like a science project. There is a long way to mastery when trying to learn this method. 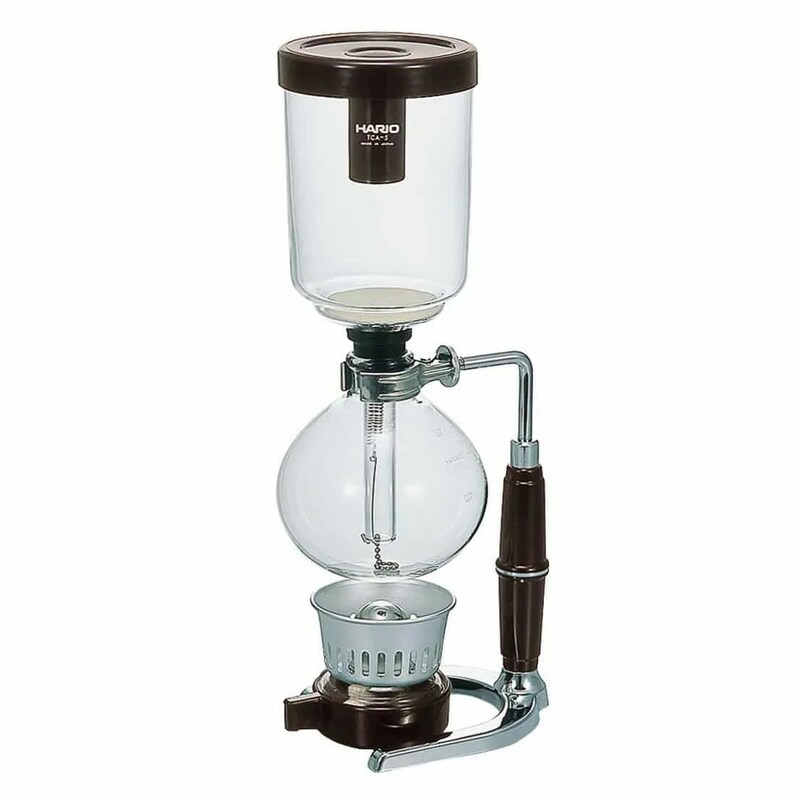 If you want to purchase a Hario Siphon Brewer, you can click here. 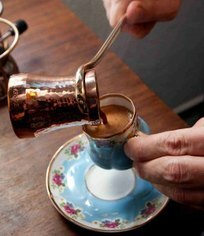 For a very THICK and full flavour coffee, you can be a little adventurous and try out Turkish Coffee. It differs from most brewing methods greatly in the sense that it is unfiltered. ALL the coffee grounds are allowed to rush through and must settle in the bottom of your cup. The coffee is ground as fine as possible and simmered in a pot. Done right, you can create a fantastic, unique cup of coffee. This will be one of the last guides I write, but sign up to our mailing list and you will be the first to know about it! I release posts to the mailing list before putting on the main website. using heat to speed up the process of brewing, and instead taking your time with the brew to end up with a much sweeter, less bitter cup of coffee. The results are slightly more acidic, but definitely worth it when you consider the lack of bitterness. It can be very refreshing to enjoy a cup of cold brew on a warm summer day rather than drinking your usual cup of piping hot coffee. The guide for this method will be coming up soon. Check up on this article from time to time, or just join our mailing list to get a sneak peak before the rest of the world! Swedish Egg Coffee is also known as Scandinavian coffee or Hungarian coffee. Now, I am ashamed to say I am yet to try this coffee (which is pretty bad as I am half Norwegian!) but it is definitely on my list of things to do when I return to Norway. 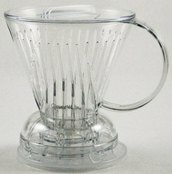 This brewing method results in a lighter cup that is very smooth in flavour and shows absolutely no bitterness. Whether you are intrigued or disgusted, I am sure the guide for this one will be a great read and that many people will freak out to hear that somewhere out there in the world, there are people mixing EGG with COFFEE! When I try some, I will update this post to let everyone know what I thought of it myself. Might even decide to just brew some myself instead of waiting for my trip to Norway. I hope that this article has peaked your interest, and that you will choose to follow me on this short journey of describing some of the different methods of brewing coffee. The aim is to help broaden your knowledge on coffee, and to develop your understanding of the science of how it all works. This should help you to brew a consistently better coffee. If you have any other brewing methods you would like me to create a guide for, feel free to comment and let me know. If I have the time and knowledge, I will write up a post for you!